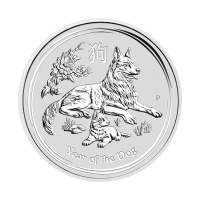 Buy the 1/2 oz 2018 Perth mint lunar year of the dog silver coin from our store today at the lowest price on the web. 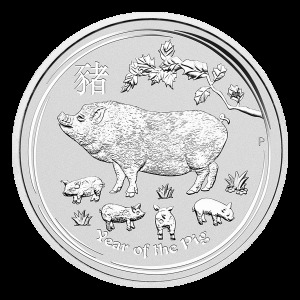 The year of the dog coins are the 11th edition of the highly acclaimed lunar II series from Australia’s Perth mint, which began with the year of the mouse edition in 2008. 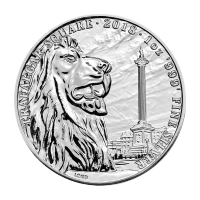 The obverse of the 1/2 oz 2018 Perth mint lunar year of the dog silver coin features a relief of Her Majesty Queen Elizabeth II, courtesy of Ian Rank-Broadley. 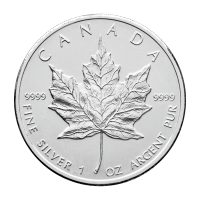 Encircling the obverse feature, the coin’s silver weight and purity, as well as the date and face value of the coin. 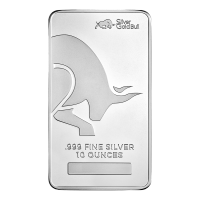 These exquisitely designed coins celebrate the loyal and loving character of the 11th animal in the 12 year lunar cycle of the Chinese zodiac. 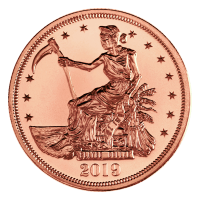 The coins of the Perth mint lunar series II are highly sought after for their endearing designs and rich, symbolic subject matter and are undoubtedly a shrewd way to diversify your precious metal holdings today. 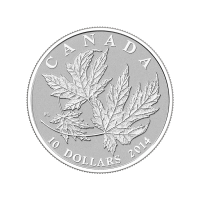 Obverse Effigy of Queen Elizabeth II with the words "Elizabeth II Australia 50 Cents 1/2 oz 999 Silver 2018"
Effigy of Queen Elizabeth II with the words "Elizabeth II Australia 50 Cents 1/2 oz 999 Silver 2018"
1/2 oz 2018 Perth Mint Lunar Year of the Dog Silver Coin Buy the 1/2 oz 2018 Perth mint lunar year of the dog silver coin from our store today at the lowest price on the web. The year of the dog coins are the 11th edition of the highly acclaimed lunar II series from Australia’s Perth mint, which began with the year of the mouse edition in 2008. 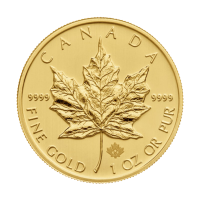 The reverse of this limited issue silver coin features a depiction of the much loved German Shepherd dog resting with her puppy in a field of grass and peony flowers. 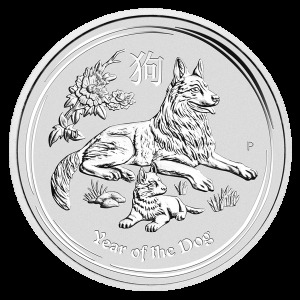 Also on the reverse, you’ll see the Chinese character for ‘dog’ and the title: ‘Year Of The Dog.’ The obverse of the 1/2 oz 2018 Perth mint lunar year of the dog silver coin features a relief of Her Majesty Queen Elizabeth II, courtesy of Ian Rank-Broadley. 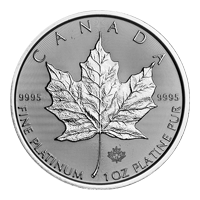 Encircling the obverse feature, the coin’s silver weight and purity, as well as the date and face value of the coin. 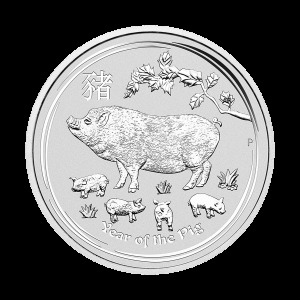 These exquisitely designed coins celebrate the loyal and loving character of the 11th animal in the 12 year lunar cycle of the Chinese zodiac. 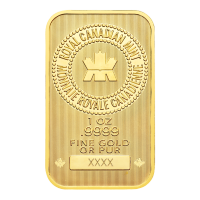 The coins of the Perth mint lunar series II are highly sought after for their endearing designs and rich, symbolic subject matter and are undoubtedly a shrewd way to diversify your precious metal holdings today.